Banners: (Any size) outdoor Banners, Vinyl Banners, Mesh Banners, we Print on Banner Both Side. Trade show banner, Street Banners, Special Event Banners, Promotional Banners, Sports Banners. Signs: Outdoor Signage, Indoor Signs, Yard Signs, Corrugated Signs, Custom Signs, Coroplast signs, Sign printing, Neon Signs, Digital Graphics, Channel Letters, Political Signs, Campaign Signs, Plastic Signs. UV Print is Eco friendly, UV Printing inks release ZERO VOCs making them both safer for you and our environment. fade resistant & Very versatile and does not use any solvents so is very eco friendly, We got wide flat bed UV printer capable of printing pretty much any substrate PVC plastic, Vinyl, CHLOROPLAST, wood and more, up to 0.25″ thick. UV printing inks are completely dry and cured when they come off the press. Easy signs UV Printing speeds up this process. Your printing materials can go directly to bindery without any wasted drying time. UV Print is high quality & durable with a very high UV resistance, great for either indoor or outdoor use. 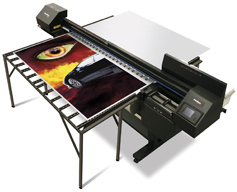 UV printers can print onto any coated or un-coated substrate providing very vivid dense colors. 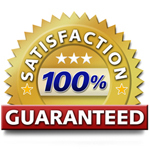 We serve Fort Lauderdale, Miami-Dade, west Palm Beach, south Florida and all 50 states.